Yep you read that right! I was foraging through my cupboards yesterday, trying to use up my leftovers and asking the Lord to help me come up with a simple meal for dinner. Today is grocery shopping day and I was O.U.T. of everything!! 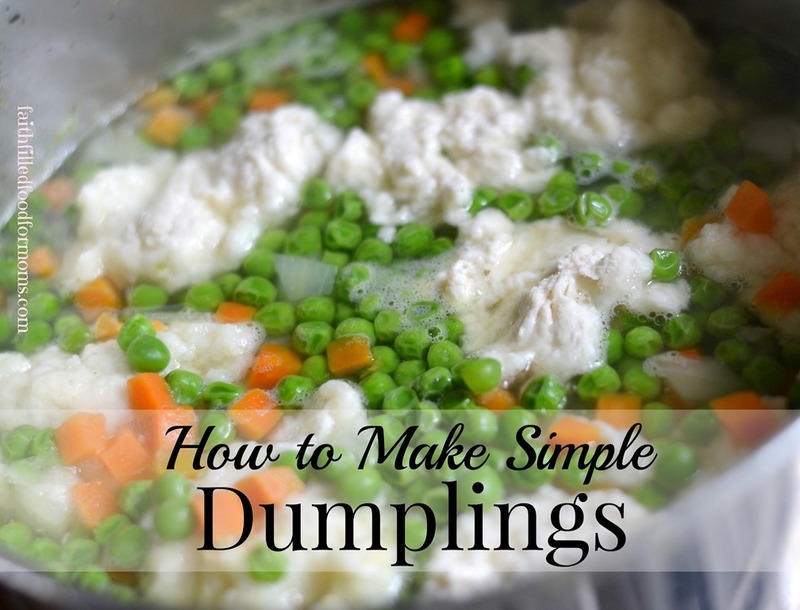 Soup..I can make soup…and I’ll even show you how to make simple dumplings to make even more filling! My family LOVES to have homemade bread with dinner but honestly I didn’t really feel like making it. Oh ya…as much as I love to cook..I don’t always want to! 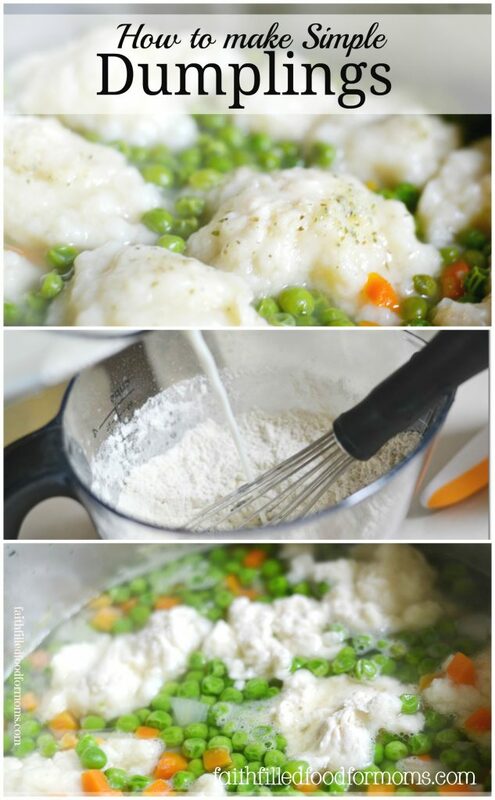 LOL Then I remembered…I haven’t made Dumplings in like forever and it takes, let’s see, all of about 2 minutes to make. 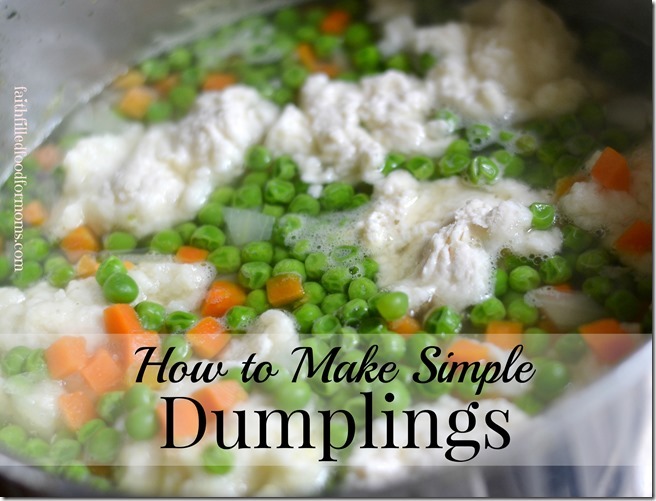 Then of course I had to take a quick picture because I know you want to know how to make simple Dumplings..right?! 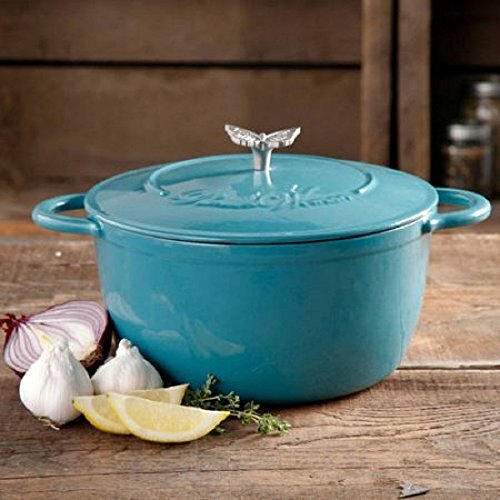 One of the things you really need is a good soup pot with a lid. 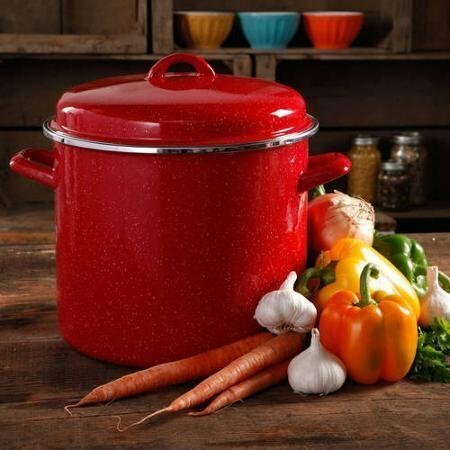 This will make your life sooo much easier when making soups, stews, chilli and of course…dumplings! 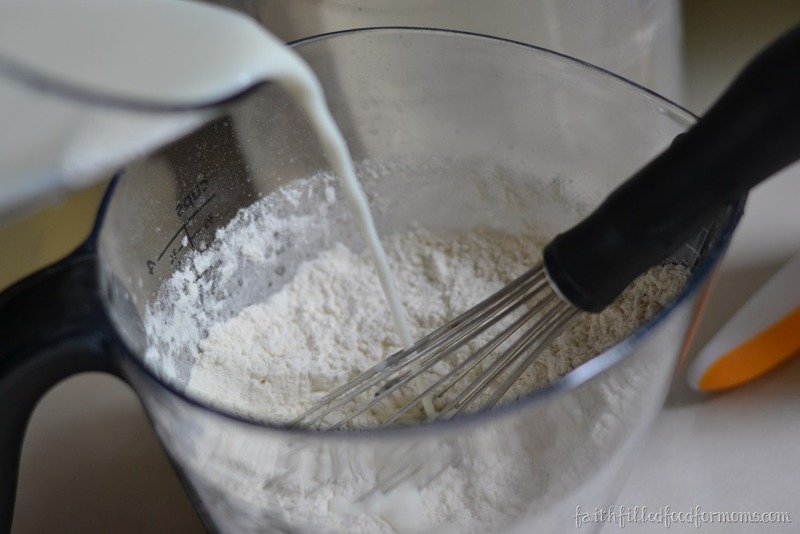 Mix together Flour, Baking Powder and salt. Then pour milk and oil in. 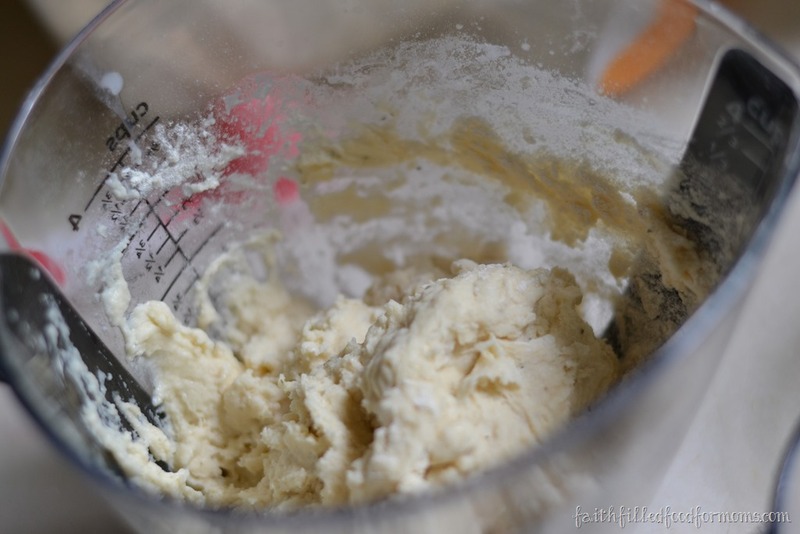 Stir up and make a dough..don’t over stir. Just enough to mix it up good. Now drop about 2-3 Tbsp. mounds of the dough onto Soup, Stew or vegetables! Don’t be perfectionistic here. Just blop it in and forget about it! Do mine look perfect? Nope! Cook for 10 minutes with the lid off then 10 minutes with the lid on. That’s it! So super easy and Yummy! You can make lots of different kinds of Dumplings by adding different herbs and seasonings like Parsley, Chives, Cayenne, really anything! Or add any kind of Cheeses! Pin for later if you like! Now drop about 2-3 Tbsp. mounds of the dough onto Soup, Stew or vegetables! Don’t be perfectionistic here. Just blop it in and forget about it! 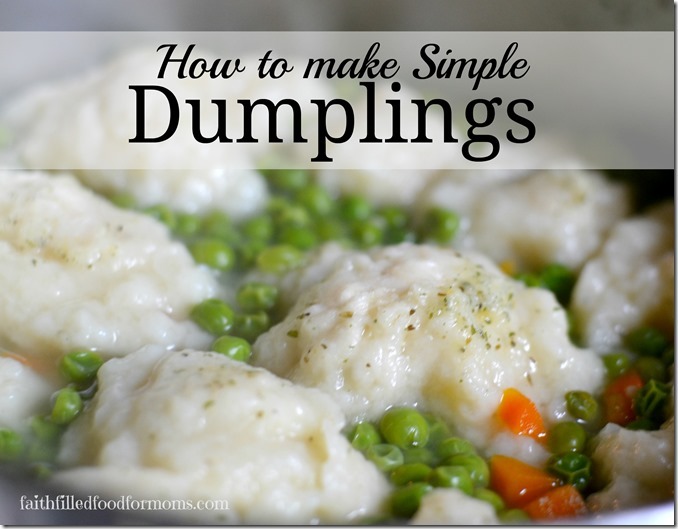 I love simple dumplings! I must admit, I have never used coconut oil in cooking. I use it for beauty things, but not in cooking. I must give it a try. Thanks for sharing! Oh it’s so yummy Elizabeth! I use Tropical Traditions and oh my the flavor is AMAZING! 🙂 Love it in beauty things too! Thanks for stopping by..blessings to you! into my head………….He is so good!! Hi Shari, I’m such a big an of homemade dumplings. I don’t make them as often as I used to, but they are my favorite. Thanks for sharing your recipe with Foodie Friends Friday party this week. I’ve pinned and shared. Hi Joanne! I don’t make them that often either..I just don’t think about it. It’s such a great way to fill tummies with such little effort and food though isn’t it! Thank you for taking time to stop by. Have a blessed week! Yum!! These sound delicious! 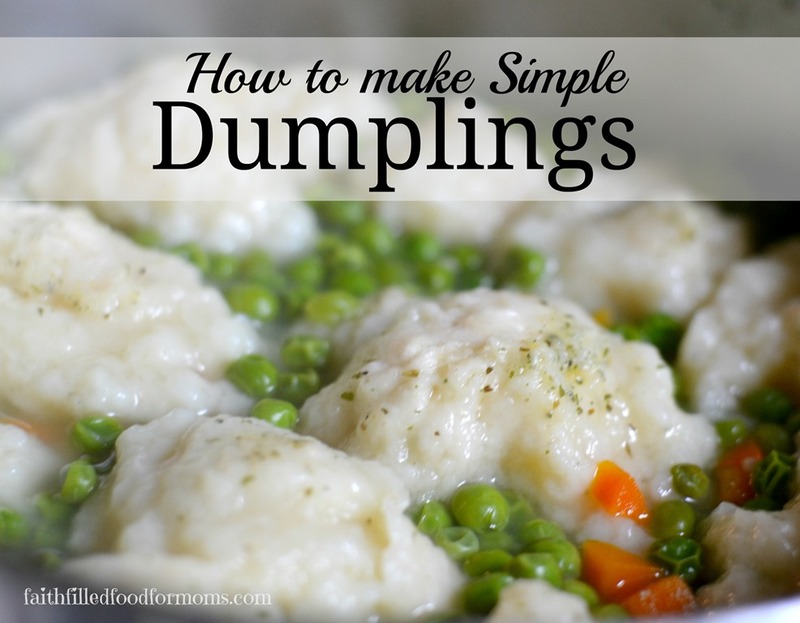 I’ve been looking for a good dumpling recipe and this could be it – can’t wait to try it!